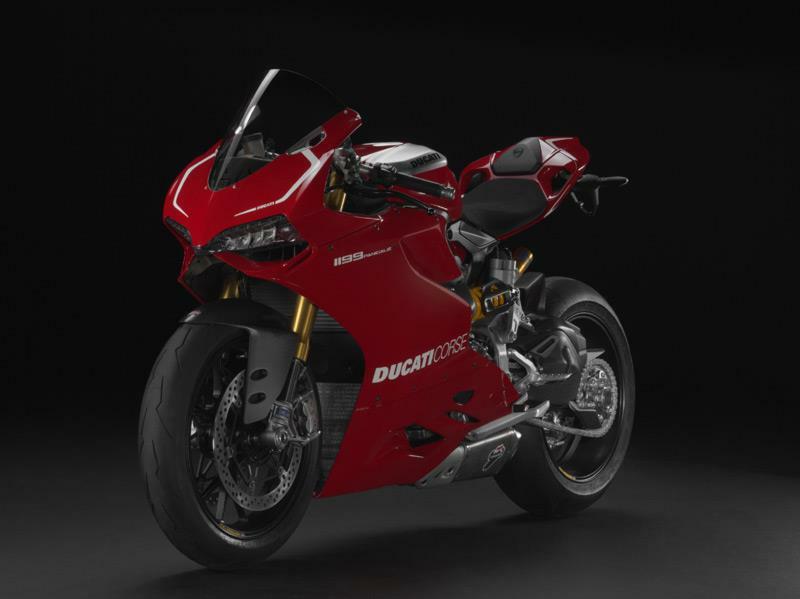 Right on cue, Ducati has revealed the ultimate iteration of the 1199 Panigale superbike with the ‘absolute flagship’ R version, which sits atop the range and above the existing bikes in terms of spec. 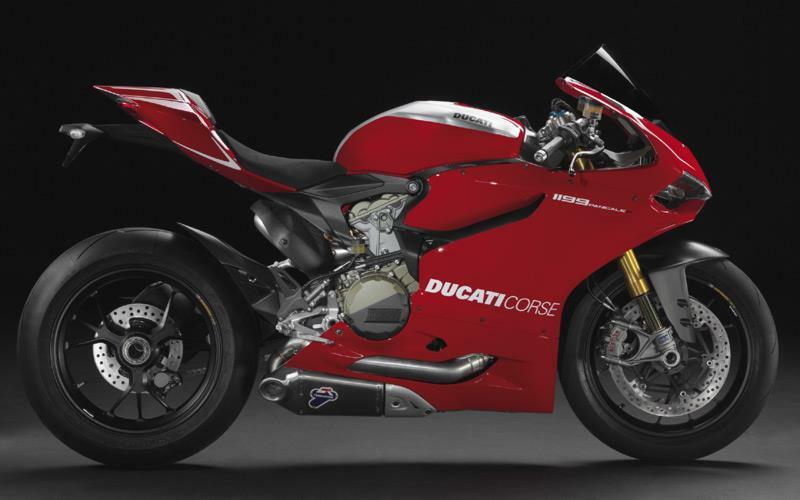 The 1199 Panigale R gets the same engine management mapping and ride-by-wire calibration enhancements as the rest of the 1199 range for 2013 but also gets titanium conrods, lighter crankshaft flywheel, low friction coated rocker arms and revised engine management which allows the twin to rev 500rpm higher to 12,000rpm. 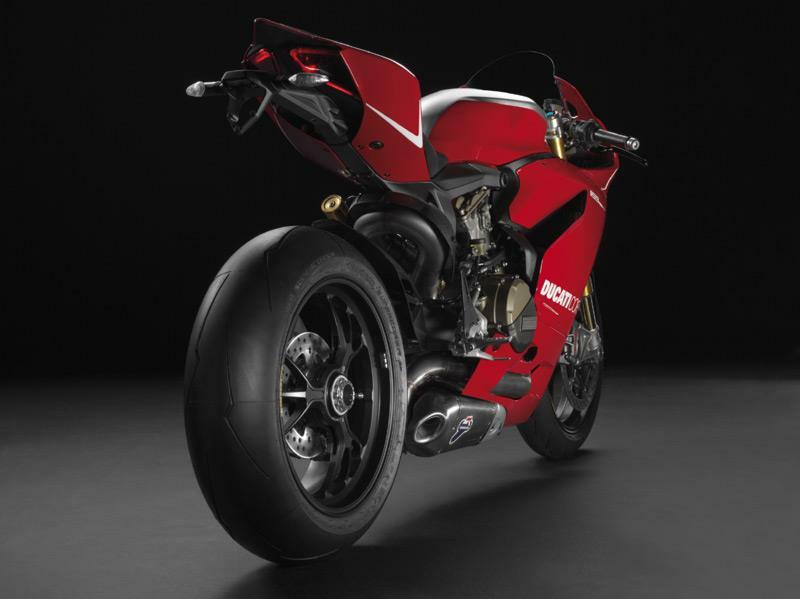 The remainder of the R kit consists of a taller racing windscreen, a full Termignoni exhaust system with dedicated track-only ECU mapping and lower gearing to boost acceleration. 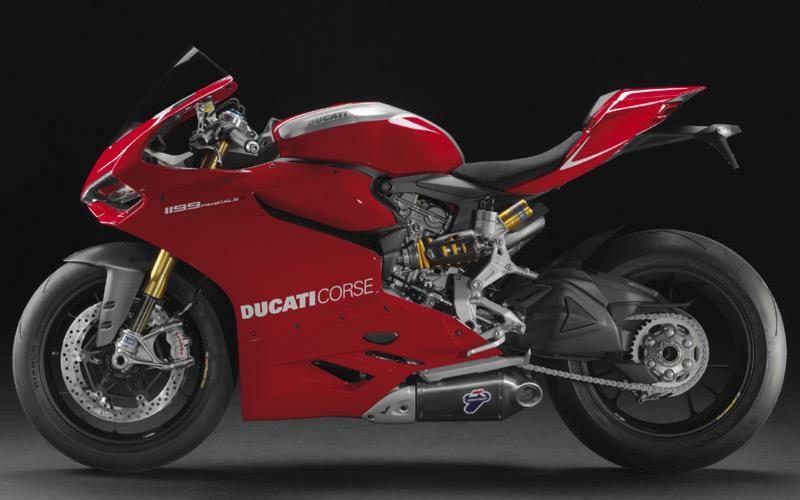 Other parts include a carbon-fibre hugger, carbon fibre swingarm protectors, rear suspension guard, heel guards, ignition switch surround and top fairing inner panels and clutch cover.